We are returning to Castle Quay with a very special pop-up shop. Opening its doors on 19th November, the We Are Bedford Pop-Up Emporium will showcase the very best in Bedford’s crafters, makers, designers and musicians in time for Christmas. This weekend we blew out the cobwebs with a Ukulele workshop while we prepared the shop for our big opening next weekend. MangoJam, Sideshow Designs, David Litchfield, Rebecca De Winter, XBlox, Artisan Furniture and a host of others will all get a chance to experience a retail environment and it is hoped that the knowledge gained may lead to them taking the decision to open their own shop in the town. Trading until mid December and manned by the makers themselves and other volunteers, the shop will have an ‘Enchanted Forest’ theme. Creative sponsors Bonfire CI have worked alongside visual merchandiser Sam Schobs to bring the concept to life, and it’s hoped that it works its magic on the people of Bedford. 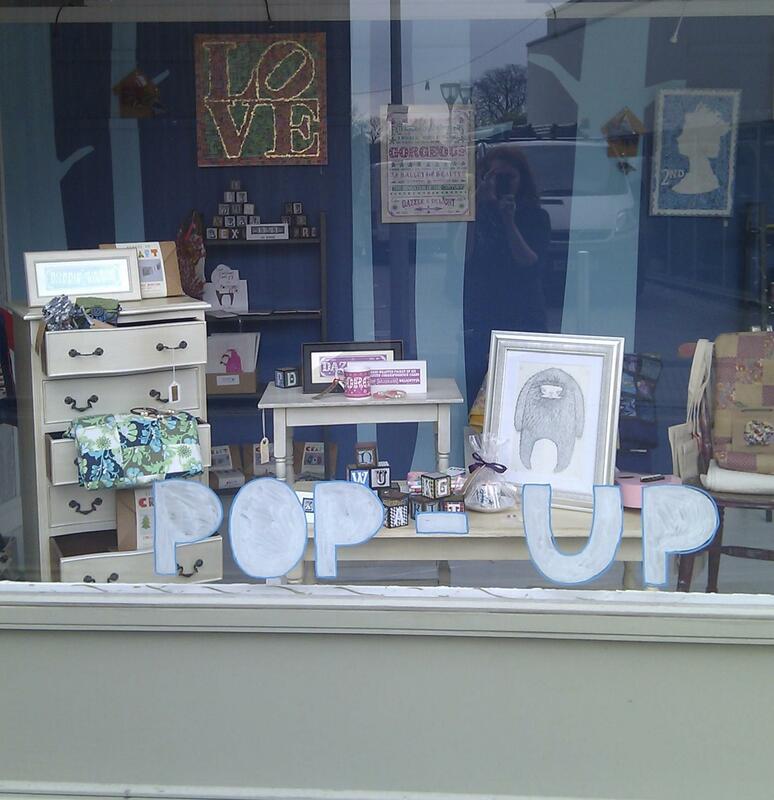 The Pop-Up Emporium will signal the last large-scale project from We Are Bedford until mid 2012. Each of We Are Bedford’s events have been funded by a Catalyst Fund from the RSA and have received great support from the Borough Council and many local businesses. Hello! I’ve only just started crafting and think this is a fantastic project. I would love to be involved in the next pop-up shop. Hi Lara, thank you for getting in contact – we aren’t planning any more pop up shops, but we have just launched a new bursary for empty shop projects which you may be interested in?